I am loving the color red for fall. It is such a powerful color & can be paired with almost any other color. I let the bright red color of this dress really stand out by pairing it with neutral greens & brown tones. That dress and those boots are so gorgeous! I love what adding the vest does to the outfit. I am absolutely loving this camo vest! I love how you paired it with the red dress - what a genius idea! I'm loving your sense of style! 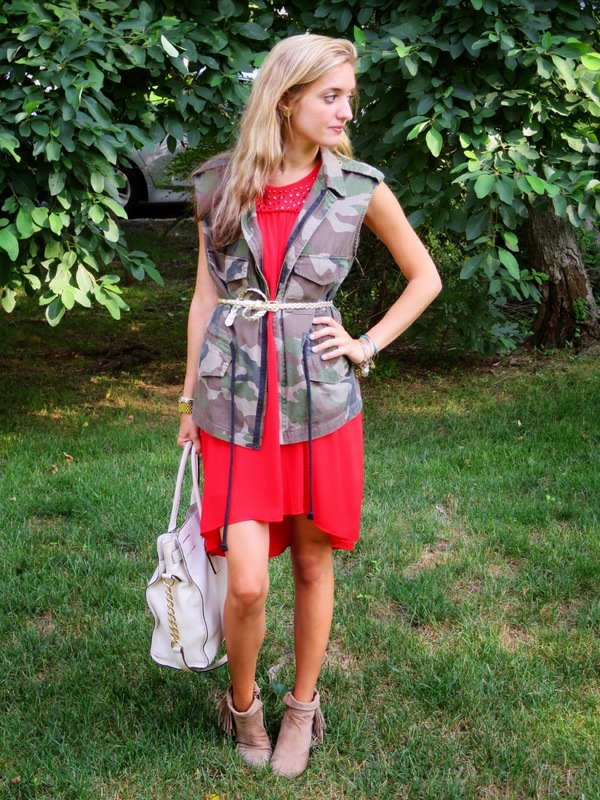 The red and camo together are fabulous!